– The Network of African Youth for Development (NAYD). The Climate and Development Knowledge Network supports decision-makers in designing and delivering climate compatible development. CDKN does this by combining research, advisory services and knowledge management in support of locally owned and managed policy processes. CDKN works in partnership with decision-makers in the public, private and non-governmental sectors nationally, regionally and globally. CDKN holds strongly to the ideals of human development and environmental sustainability.The Roster of Experts (RoE) is CDKN’s database of expert advisors and service providers on climate change and development issues. In 2015, CDKN donated a Working Paper published in April 2014, entitled “How to scale out community-based adaptation to climate change”. This document is going a long way to build GERAS’ capacity especially in climate change adaptation. This document will also be shared with members of the Cameroon Environmental Communication Network (CECN). The Captain Planet Foundation primarily makes grants to U.S.-based schools and organizations with an annual operating budget of less than $3 million. International requests are also accepted, with preference given to international projects which have U.S.-based partners. Grants are made for activities that conform to the mission of the Captain Planet Foundation which is: To give the next generation of environmental stewards an active understanding and love for the natural world in which they live. The foundation’s unique program of funding and supporting hands-on environmental projects is designed to encourage innovative initiatives that inspire and empower children and youth around the world as they work individually and collectively creating environmental solutions in their homes, schools and communities. Captain Planet Foundation Supported GERAS Cameroon with $2012 for school hands on environmental project in Kumba, South West Region. New England Biolabs Foundation (NEBF) is a private foundation whose mission is to foster community-based conservation of landscapes and seascapes and the bio-cultural diversity found in these places. NEBF believes that their natural and cultural values are inextricably linked, and that indigenous and local communities should play a fundamental role in their stewardship. 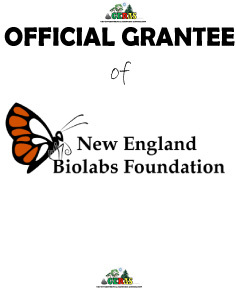 A grant of $4,700 was approved by the Board of Directors of New England Biolabs Foundation in December 2017 in favor of the GERAS’ project titled “climate change workshop for young people”. With this grant, GERAS intends to reach out to at least 100 in-schools and out-of-schools children in the locality of Kumba, South West Region of Cameroon, and at least 100 trees will be planted, with more multiplier effects. The outreach of the project will increase with respect to time and resources.